We live in a world of the “quick fix”; we want a “magic pill” to take care of our ailments and discomforts. Unfortunately, most of these approaches will take care of our symptoms and not the cause of our symptoms. This includes: herbs, vitamins, special foods or diets, medicine, special treatments and therapies, etc. None of these approaches will “heal” the body; God created the body with the ability to heal itself. If you give your body what it needs and stop breaking it down, your body will heal. 1) What does the body (or system) need to be the best it can be? 2) What are the common (or not so common) elements that break the body (or particular system) down? We can’t always go by how we “feel”. How many times have you heard…? “Joe was never sick a day in his life and he died suddenly of a heart attack” or “Mary was the picture of health. She thought she had the stomach flu and two weeks later she died. She had liver cancer.” How you “feel” is not always a good indicator of health. Develop a healthy lifestyle. It’s the sum of our habits that will determine our health and energy – especially as we grow older. Address the cause or roots of your symptoms, the symptoms will take care of themselves. Take care of the major stresses and the minor ones will take care of themselves. Healing is a process, the healing process takes time. Nutritional Supplements may be necessary in today’s world, however, supplements should “supplement” (or complement) your diet and lifestyle – not define it. We are all different; one size does not fit all. LEARN about the body! 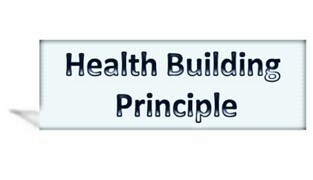 In Health Building 101, we will look at each of the systems of the body; how to build health, as well as, the common elements that can go wrong. Next: The Circulatory System- It Begins with the Blood!